Ohio’s Historic Haunts: Location #2 Revealed! OK, one last chance to gaze at this picture and see if you can guess the location. Scroll past the pic for the answer. Give up? The photograph was taken at the Museum At The Friends Home in Waynesville, Ohio. Specifically, it was taken inside one of the rooms done up to represent what a typical Boarder’s Room would have looked like back in the day. What’s a Boarder’s Room? More importantly, what’s a “Friends Home”? Questions like that were what led me to cover this location in my upcoming book, Ohio’s Historic Haunts. You see, Waynesville, Ohio, has long been rumored to be chock full of ghosts. Some even claim that Waynesville is “Ohio’s Sleepy Hollow”. The place is full of history, too, so there was no doubt that I wanted a Waynesville location for Ohio’s Historic Haunts. But which one? Sure, there were several famous Waynesville haunts that had been covered before in other books and shows. But I wanted something different, something unique that hadn’t really been covered before. That’s when someone mentioned to me that the Museum At The Friends Home was rumored to be haunted. My ears perked up when I heard “museum”, but to be honest, I didn’t understand the whole “Friends Home” bit. When it was explained to me that the museum was housed inside what used to be an old Quaker Boarding House/Home (and that Quakers address fellow Quakers as “Friends”), I was hooked and knew this was the perfect location for the book! Exterior of the Museum At The Friends Home. The porch and balcony would come to play a part in several of the ghost stories Museum staff told me. 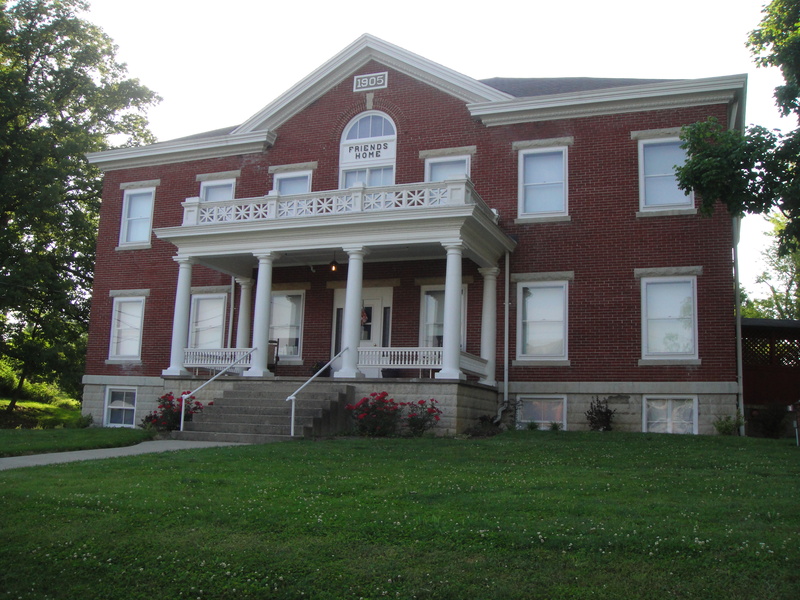 When I began interviewing the employees and volunteers of the Museum At The Friends Home, it quickly became clear to me that, like Farnam Manor, the Museum was also believed to be haunted by the ghost of a little girl. However, in the case of the Museum, there was some confusion as to who this girl was, especially since when the building operated as a boarding house, only one little girl lived here (albeit briefly). 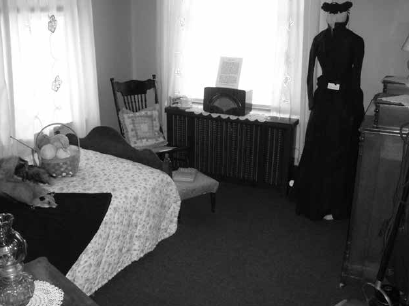 The little girl ghost wasn’t said to be alone in the building, either, as several other spirits have been reported here. WIthout giving too much away, I do have to publicly admit that the Museum At The Friends Home was a truly unique experience for me in that the “weirdness” started even before my investigation began. In fact, all my investigators weren’t even inside the building yet! Main staircase of the Museum At The Friends Home. 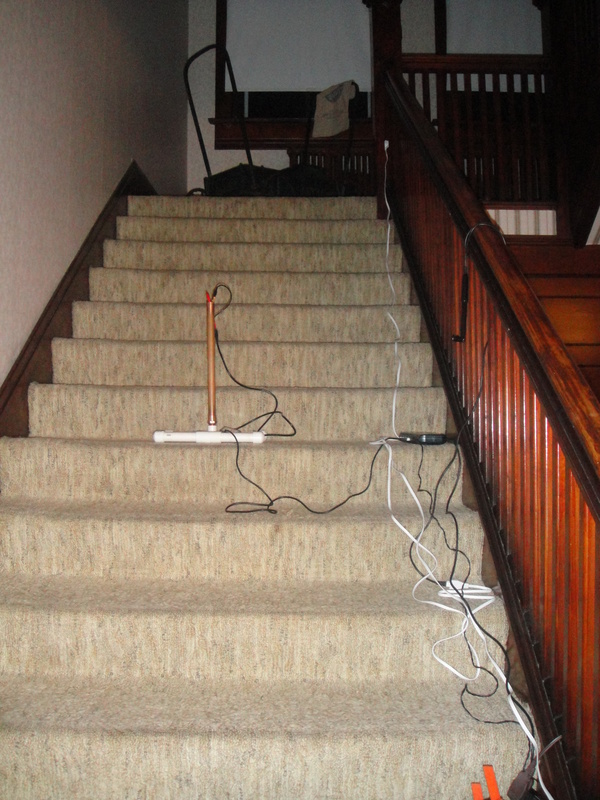 Remote sensors used during my overnight investigation are visible in middle of stairs as well as running along the right side of staircase. Want to know more? Well, you’ll just have to wait until Ohio’s Historic Haunts comes out this fall. Or you could pre-order your copy here. And if you’re dying to hear about things straight from the horse’s mouth, check this out: on Saturday, November 21st, I will be giving a special presentation at the Museum At The Friends Home, entitled An Evening With Author James A. Willis. And yes, my experiences at the Museum will definitely be a huge part of that presentation. I might even bring along a special guest or two who were with me during my investigation so you can really get the full story! For more information on the November 21st presentation, visit the Museum At The Friends Home website here or click here to let people know you’re going! And keep on eye on my Calendar Of Events to see if I’ll be coming to your town!